US Army Specialist Douglas J. Green was killed in action in Kandahar on Aug. 28th, 2011. He died from injuries received when insurgents detonated a bomb against his unit and opened fire with small arms. Green served with the 3rd Battalion, 21st Infantry Regiment, 1st Stryker Brigade Combat Team, based at Fort Wainwright. Specialist Doug Green joined the U.S. Army more than four years ago. Green grew up in Virginia but also considered Las Vegas home for the past six years. His family says he always wanted to serve his country, and only had two months left on his tour of Afghanistan. Army Spc. 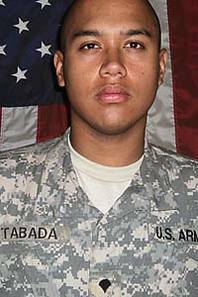 Brian Tabada of Las Vegas was killed Sunday, Feb. 27, 2011, in northeastern Afghanistan after insurgents ambushed his mounted patrol using small arms and rocket-propelled grenades. The attack occurred in the Darah-ye Pech district of Afghanistan’s Konar province. Brian was born May 25, 1989, in Olangapo, Philippines. 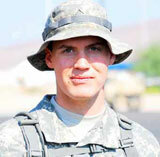 Brian attended Shadow Ridge and Arbor View High Schools in Las Vegas and joined the Army in August 2008. He was a fire-support specialist, or “fister,” trained in calling in aircraft and artillery to quell attacks on NATO troops. Brian was assigned to the 1st Battalion, 327th Infantry Regiment, 1st Brigade Combat Team, 101st Airborne Division. Brian is survived by his mother and her husband, his father and his wife, two sisters, one brother, a grandmother, an aunt and two uncles. Marine Sergeant Frank Zaehringer III, born and raised in Reno, was killed in action October 11, 2010, while on patrol in Afghanistan. A 2005 graduate of Wooster High, Zaehringer grew up in Reno and wanted to become a Marine since he was a teenager. He was fatally wounded after an IED exploded during combat operations in Helmand province. He served in Iraq and was on his first tour of duty in Afghanistan and had already signed up for an additional tour. Zaehringer loved baseball, football and outdoor activities. He married Cassie in 2009. Frank Zaehringer III is survived by his parents, his wife, Cassie and sister, Nicole. 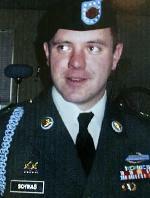 SPC Hennigan of Las Vegas died in Afghanistan June 30, 2010, as a result of wounds from machine gun fire. Patriot Hennigan was a 2007 graduate of Silverado High School. He enlisted right out of high school and was on his first tour to Afghanistan. Patriot Hennigan was single, no dependents and leaves his parents and three brothers. Army Spc. Ezra Dawson was the son of an Oklahoma preacher man before he moved to Las Vegas. His family said you could see the preacher boy in him with his upbeat attitude and good heart. He worked at a waiter before joining the Army to better himself and future family, Felicia Tucker told the Las Vegas Review-Journal. “He figured that would be the way,” she said. Tucker said that Dawson sometimes was a rapper and a stand-up comedian. 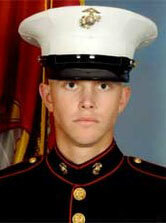 PFC Thomas Lyons was killed in Baji, Iraq when his truck was bombed. He grew up in Fernley, NV, and Carson City, NV. He went to Iraq in July 2009. He is survived by his wife, Delvin (an active duty soldier), his son, Erik (3 months), and his mother and stepfather. PFC Kevin Christopher Thomson was killed by enemy ambush/attack outside COP Keating, Afghanistan. He was a 20 year Reno resident, Wooster High and ACE high school graduate. Army Sgt Josue Hernandez-Chavez was killed when the MH-47 Chinook helicopter he was riding crashed. Low visibility has been blamed for the crash, which happened after an operation to disrupt arms smuggling and drug trafficking. He was a flight engineer, a native Las Vegan who joined the Army in 2005. 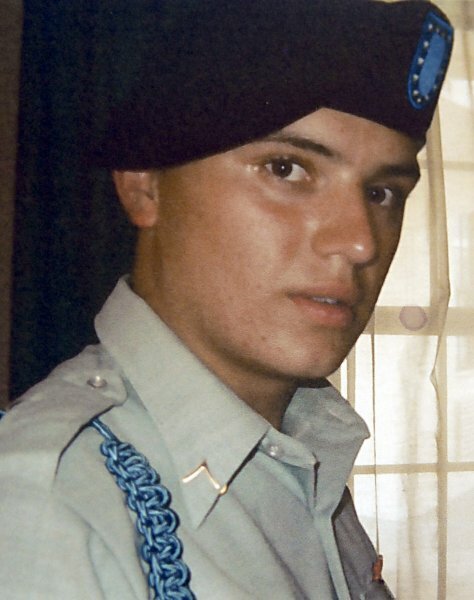 Hernandez-Chavez was with the 569th Mobility Augmentation Company, 4th Engineer Battalion, Fort Carson, Colorado, as a combat veteran on his 6th deployment. PFC Han, a combat engineer, was killed when the vehicle he was riding in hit an IED. Han was born in Oregon and attended Cheyenne High School in Las Vegas. He entered the service in January 2008, and served in Iraq the first half of 2009 before he was transferred to Afghanistan. Han was promoted posthumously to rank of Specialist. Army Staff Sgt. Sean Gaul grew up in Nevada and attended Reed High School. He was on his fifth tour of Iraq and Afghanistan after enlisting in the Army in 1999. He was with the 3rd Squadron, 2nd Stryker Cavalry Regiment, 2nd Stryker Brigade Combat Team, 1st Armored Division. “Sean loved his job, knowing the risks he re-enlisted during his fifth deployment,” his wife, Jessica, said in a statement published in the Reno Gazette-Journal. “It seemed Sean was a lifer for sure. He did not waiver from his responsibility. He always trained hard and he led the way by example.” Gaul loved martial arts and many outdoor activities, including fishing, scuba diving and training for triathlons. Marine Lance Corporal Raul Bravo Jr.
Marine Lance Cpl. Raul Bravo Jr. had two chances to join the Marine Corps and work in the White House. He turned down both chances and instead served in Iraq. At first it was because of his loyalty to fellow Marines, later it was because he believed in helping the children of Iraq. “He learned the Iraqi language,” his grandmother, Lillian Marsico told the Pittsburgh Tribune-Review. “Some Iraqis were embedded with his unit. He loved the Iraqi children.” Bravo Jr. was a 2004 graduate of Elko High School who served two tours in Iraq. Chief Warrant Officer Joshua Rodgers was always known as a family man. When he was in basic training in Afghanistan, he always talked about them. “When Joshua was away at basic training, most of his letters to me were about how important family was and how much he appreciated his family life,” his mother, Debbie Walker told the Nevada Appeal. “Whenever he came home, he always wanted to get the family all together.” A child-development center in Fort Bragg, N.C. has been renamed in Rodgers’ honor. Rodgers married his wife, Casey, and leaves behind three daughters, Madison, Autumn and Ashlyn. Rodgers was with B Company, 3-82 Task Force, Ft. Bragg. Army Pfc. Alejandro Varela was 19 years old when he died in Iraq. But the Fernley native had already developed plenty of courage. Varela was helping search for three missing comrades in hostile territory, which is not easy. “Their mission was to try to find the three missing American soldiers,” his father, Roger Varela told the Las Vegas Review-Journal. Alejandro Varela worked hard to get his GED so he could be eligible for military service. “He was very proud to join the military,” Kathleen Jameson, program coordinator of the Fernley Adult Educations Center, told the Review-Journal. Varela was assigned to the 1st Battalion, 5th Cavalry Regiment, 2nd Brigade Combat Team, 1st Cavalry Division. Army Sergeant Alfred Garcia Paredez Jr.
Army Sgt. Alfred Paredez joined the Army in 1993 and learned to repair helicopters. But if there was something else that needed repair, Paredez could probably fix it. “In my experience,” Sgt. 1st Class John Shatto told the Killeen Daily-Herald, “there was nothing that Sgt. Paredez could not fix.” Whether it was a helicopter, a Humvee, a fax machine or a copy machine, Paredez usually got it to work. Shatto called Paredez a true American hero and said he had the respect of everyone around him. Paredez was a Las Vegas native who helped train incoming soldiers. 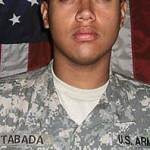 Paredez was with the 1st Battalion, 8th Calvary Regiment, 2nd Brigade Combat Team, 1st Cavalry Division. When Army Reserve Staff Sgt. Coby Schwab was supposed to be receiving medals after his first tour in Iraq, he was nowhere to be found. Instead of accepting the honor, Schwab was setting up a training exercise to help new soldiers prepare for situations he’d already seen. “I never got the chance to present (the honors) to him,” Maj. Gen. Lawrence J. Johnson told the Las Vegas Review Journal. “He saw that reserve soldiers had little, if any, combat experience. 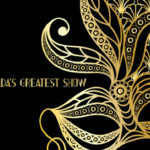 He wanted to take his experience and use it to shape their experience.” Schwab moved to Las Vegas in 1988 and graduated with honors from Clark County magnet high school, the Advanced Technologies Academy. Assigned to Bravo Company of the Army Reserve’s 321st Engineer Battalion, he died while trying to recover a Humvee that had been hit by a roadside bomb. Like many patriots, Army Pfc. Joshua Modgling had plans after serving his country. The Army gave him the best chance at succeeding with those plans. “All Josh wanted was to finish serving his country, go home to attend college in the automotive field and eventually open an automotive shop with his brother Christopher,” his grandmother, Karen Nelson, told the Pahrump Valley Times.” Modgling graduated from Silverado High School. He enlisted in the Army in December of 2005 and was on his 1st tour in Iraq with the 1st Battalion, 30th Infantry Regiment, 2nd Brigade Combat Team 3rd Infantry Division. Army Staff Sgt. Michael Townes joined the Army in 1999 to be a wheeled vehicle mechanic. He deployed to Iraq with the 1st Cavalry Division in September 2006. “The Nellis community has truly lost one of its own,” the Hopper family wrote in an online tribute site, www.Legacy.com. Townes lived in Las Vegas and served most of his tour in Iraq with the 4th Battalion, 227th Regiment, Aviation Brigade, 1st Calvary Division. There were times when Army Sgt. Anthony Schober would return from 12 to 18 hour missions in Iraq and get together with his friends and play “Halo” on Xbox. That’s why Schober was so well-liked and respected by his family and friends – he’d go out of his way to make them happy. “That was Anthony,” his stepfather, Ed Schober told the Press-Democrat of Santa Rosa. “That was Anthony.” Schober lived in Northern Nevada along with most of his family. He was motivated to serve his country after the September 11, 2001 terrorist attacks. He was with the 4th Battalion, 31st Infantry Regiment, 2nd Brigade Combat Team, 10th Mountain Division (Light Infantry). Army Spc. Travis Virgadamo wanted to be a soldier or a police officer since around age 4, his family told the Las Vegas Sun. Virgadamo moved to Las Vegas soon after around age 5. He was born in Victorville, Calif. He was homeschooled growing up and worked as a box boy at a local Albertsons grocery store. As a teen, he joined the Nellis Cadet Squadron. He was a Calvary Scout with the 3rd Squadron, 7th Calvary Regiment, 2nd Brigade Combat Team, 3rd Infantry Division. 1st Sgt. Carlos Saenz worked for the Nevada Test Site’s security firm Wackenhut Security Inc. for 21 years aside from his time in the military. He was with the Nevada Guard 14 years; served in Desert Shield and Desert Storm and was with the Army Reserve 490th Civil Affairs Battalion; 2nd Brigade Combat Team, 4th Infantry Division when he died. His loyalty to the United States is immeasurable. “Carlos will be forever missed,” his family said in a statement. “He was the epitome of a soldier and his sacrifice was made doing exactly what he wanted to do.” Saenz married Nanette Saenz and had one child, Juan. Marine 1st Lt. Nathan Krissoff wanted to be part of the CIA. He interviewed for a position there, but was told he was too young. Instead of backing down, he stayed true to his initial objective of helping his country and became a Marine. After graduating from Williams College. He was a standout swimmer, a skier and a world-class kayaker. Krissoff enlisted with the Marines instead of pursuing an international affairs career. “The Marine Corps was a place where Nate could give back to his country and make a difference,” Marine Corps Capt. Michael Dubrule told the Reno Gazette-Journal. “Nate did make a difference.” Krissoff was with Counterintelligence, Headquarters & Service Battalion, 3rd Marine Division, III Marine Expeditionary Force. When Lance Cpl. Jeremy Long was playing football at Spanish Springs High School, his coaches said he was never the biggest guy on the field. But what he lacked in size, he made up for it in determination and hard work. Those qualities followed him into his military service. “He was very excited to be in the military,” his football coach Fran Sandomenico told the Reno Gazette-Journal. “Just talking to him, it was amazing how fast he grew up in such a short time.” Long was assigned to 1st Battalion, 7th Marine Regiment, 1st Marine Division, 1st Marine Expeditionary Force. Army Corporal Shawn Lasswell Jr.
Army Cpl. Shawn Lasswell always wanted to help his country. His stepfather said he wanted to be part of a SWAT Team and his friend said he had an eye for shooting. “When he said he was going to do something, he did it,” Lasswell’s stepfather Rob Zehren told the Las Vegas Review-Journal. Laswell attended Valley High School and moved to Las Vegas with his mother when he was 11. He was with the C Troop, 7-10th Cavalry Squadron, 1st Brigade Combat Team, 4th Infantry Division. Army Staff Sgt. Emmanuel Legaspi was always a fighter. Know as “Manny” to everyone he knew, Legaspi was a champion boxer who competed for the Philippines in the 1988 Olympics in Seoul, South Korea. When he moved to the United State, he proved he would fight for this country. “He was in America. He didn’t want anyone to question his patriotism,” his wife Shona Legaspi told the Las Vegas Review-Journal. Legaspi lived in the United States for a year before enlisting. He worked as a slot machine technician and a lifeguard. He was with the 1st Battalion, 36th Infantry Division, 1st Brigade Combat Team, 1st Armored Division. Army Pfc. David “Nick” Crombie was 19 years old when he had completed what he set out to do. In Iraq, he called his mother to let her know what he had done. “He said, ‘Mom, I saved an Iraqi soldier today it was so cool,'” his mother, Jen Laybourn told the Washington Post. “I put my training to effect: I saved someone. Not that many 19-year-old people can say they accomplished what they wanted in life.” Crombie was a medic in the Army with the 2nd Battalion 6th Infantry Regiment. People of Douglas County felt the pain when Army Pfc. Phillip “Brandon” Williams died serving his country. A local 14-year-old girl, Alejah Miller, summed up the tightness of the community. “It’s like he’s everybody’s son,” Miller told the Record-Courier. Williams was a Douglas High graduate and was a military policeman. Over 1,000 people were in attendance to pay respect to Williams. He was with the 4th Brigade Troop Battalion, 4th Brigade Combat Team, 101st Airborne, Division. After the September 11, 2001 attacks on the United States, many people were affected by them. Army Sgt. Gordon Misner was affected. That’s why he joined the military two months after. “He was very patriotic. He loved his country, all the troops,” his brother-in-law Jason Gillen told The Gazette, a Colorado Springs Newspaper. “I believe he died doing what he loved, protecting us and serving his country.” Misner, who married Christine Misner and had three children, was part of Fort Carson’s 3rd Heavy Brigade Combat Team. Army Sgt. Kenneth Bostic was assigned to the 204th Military Police Company, 519th Military Police Battalion, 1st Combat Support Brigade, Mission Enhancement. In June of 2003, he joined the Army and was stationed at Fort Polk, LA. He received over 10 honors for his courage, after conducting checkpoint operations with Iraqi National Police the day he died. Bostic is survived by his mother Patricia Thyne, father James Bostic and brother Dwayne Bostic. Army Sgt. John Griffith graduated from Eldorado High School in 1991, and the Las Vegas Valley was his home for most of his life. From playing with toy soldiers at age 5 to joining the Navy Junior ROTC in high school where he was on the rifle drill team, Griffith always wanted to be in the military. “He lived and breathed all that stuff,” Griffith’s wife told the Las Vegas Review Journal. “He was and always will be the bravest person I’ve ever known.” He served two tours in the military. 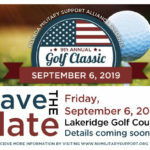 He was activated from the Nevada National Guard after September 11, 2001 and was part of the 3rd Battalion, 10th Aviation Regiment, 10th Mountain Division (Light Infantry). On his second tour in Afghanistan, Army Sgt. Robert Kassin wanted to make an impact in the country. His focus was to build a school so he could make things better and he accomplished that task. “He requested this assignment to go back because the primary mission was to rebuild,” his father, Robert Joseph Kassin told the Las Vegas Review-Journal. “They created a school for an area that never had a school before. He was actually very proud to be over there doing that.” Kassin was part of the Charlie Company of the 2nd “Warrior” Battalion, 4th Infantry Regiment, 4th Brigade Combat Team of the 10th Mountain Division out of Fort Polk, La. Army Spc. Ignacio Ramirez played football for Basic High School and was on the All-Star team in little league in sixth grade. His specialty was sports. When he joined the Army, he was a chemical specialist. Ramirez made the ultimate sacrifice for his country because he had the skills to help the United States. “He joined while the country was at warâ€¦He was a good kid. He was a hero,” his stepfather, Robert Vance told the Las Vegas Review-Journal. “He joined the Army to better his life and help his country.” Ramirez, who also went by the name “Nacho,” was part of the 1st Battalion, 37th Armor Regiment, 1st Armored Division out of Friedberg, Germany. Army Pfc. Thomas Siekert graduated from Pershing High School in 2004 and ran on the school’s track team. “He was a fine young man,” Lovelock High principal Charles Sanford told the Las Vegas Review-Journal. “As one staff member said quite eloquently: ‘Everyone knows everyone here. Everyone has a broken heart. 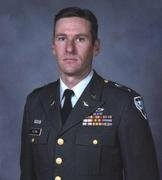 '” Siekert joined the army in February, 2005 and was assigned to the 101st Airborne Division in Fort Campbell, Ky. before his death. Nevada Guard Chief Warrant Officer John Flynn always wanted to fly. Flynn did that with the National Guard. He enlisted in 1988 and completed Warrant Officer School in 1992. A 1988 graduate of Reno High, Flynn attended Truckee Meadows Community College and UNR. He was very active in flying missions for the state of Nevada. Flynn died doing what he loved. “In his mind, and in mine too, he was fighting evil and believed in good,” Flynn’s father, also named John, told the Reno Gazette-Journal. “I loved my husband and I’m very proud of him,” Christine Flynn told the RGJ. “His children (daughter Hannah, son Benjamin) will know the kind of man he was.” Flynn was with the Nevada Guard’s 113th Aviation Regiment. Marine Lance Corporal Richard Perez, Jr. When Marine Lance Cpl. Richard Perez Jr. graduated from Coronado High School in 2003., there was a street in Las Vegas called Buena Vida Avenue. After he made the ultimate sacrifice in Iraq, Buena Vida Avenue was changed to “Rich Perez Jr. Dr.” in his honor. “It’s a solid recognition,” his father, Richard Perez Sr. told the Las Vegas Review Journal. “We’re very proud of what he did.” Perez Jr. was scheduled to come home 10 days after his death. He was in the Marine Forces Reserve and 6th Motor Transport Battalion 4th Force Services Support Group. Navy SEAL Shane Patton joined the Navy after graduating from Boulder City High School in 2000. He was a 2nd generation Navy SEAL. As a Navy SEAL, he was trained to battle in the some of the most dangerous situations. He died after a helicopter he was riding in was shot down by enemy force while trying to save other SEALs in battle. 15 others on board died along with him. Marine Cpl. Jesse Jaime was a Chaparral High School graduate and was very close to his family. His twin brother, Joe, served with him and the two fought together overseas. “I was proud to serve with him,” Joel told those at the funeral. “Any other Marines here – just remember what we fight for.” Jaime was with the 1st Battalion, 5th Marine Regiment, 1st Marine Division, I Marine Expeditionary Force. When James Cathey was in fourth grade, he told his mother he wanted to be a Marine. When he graduated from Reno High School in 1998, Cathey didn’t attend the graduation ceremony because he’d already left for basic training. 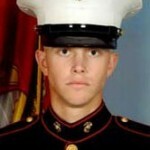 “The day I met him, he wanted to be a Marine,” Cathey’s friend, Brandon Etchemendy told the Reno Gazette-Journal. 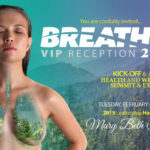 Cathey graduated from the University of Colorado, Boulder with two degrees – one in history, the other in anthropology. There he met his wife Katherine. Army Specialist Anthony Cometa graduated from Silverado High School in 2002 and loved wrestling and music. His goal was to go to college and buy a house. The Army gave him the best chance to do so. “Everybody he met was impacted by him,” his mother, Nancy Fontana told the Las Vegas Review Journal. “He just touched everybody. He was very proud to be serving his country. He loved music, he loved his family and he never worried about anything.” Cometa was assigned to the 1864th Transportation Company. Army Corporal Joseph Martinez grew up in Las Vegas and always had aspirations to join the military. He joined the Junior ROTC’s color guard, was a swimmer for Durango High School and attended Grant Sawyer Middle School prior to that. “He wanted to protect his country,” his mother, Cynthia Martinez told the Las Vegas Review-Journal. “It was his duty to make that ultimate sacrifice.” He was known as the type of man who would take a bullet for anyone. He was on his 2nd tour in Iraq and was assigned to the 2nd Squadron, 3rd Armored Cavalry Regiment. Daniel Guastaferro attended Cimarron-Memorial High School and wanted to join the Army since age 9. Steel plates surgically implanted in his arm after a snowboarding accident forced the Army to decline his wishes. But after the Army decided Guastaferro could handle the physical demands of being a soldier, he was enlisted. “He knew what he was going into, he was doing what he wanted,” his mother, Fabbri Guastaferro told the Las Vegas Sun. Guastaferro was in the Army’s Infantry air assault team, 1st Battalion 503rd Infantry Regiment, 2nd Brigade Combat Team. He manned a .50-caliber machine gun on a military Humvee. He was awarded a Bronze Star and a Good Conduct Medal. Army Private Joshua Morberg graduated from Washoe High School in 2004 and was known as a child to help people out. When he died in Iraq, he was trying to assist soldiers under attack. He had been in Iraq just a little more than one week. “It was an individual act of extreme courage,” Morberg’s uncle, Leslie Plasschaert told the Reno Gazette-Journal. “He did this because Josh was Josh. His actions were in keeping with the highest traditions of the military.” Morberg was a combat scout in the 2nd Battalion, 8th Infantry Regiment, 2nd Brigade Combat Team of the 4th Infantry Division. Army Spc. Theodoro “Tito” Torres moved to Las Vegas from upstate New York. He joined the service in February 2005. He was with the Army Reserve 490th Civil Affairs Battalion in Abilene, TX; 2nd Brigade Combat Team, 4th Infantry Division. Torres was a highly-respected man who loved his friends and family. He is survived by his wife, Yarissa Torres, and parents Carmen and Teodoro Torres Sr. of Rochester, N.Y.
Army Staff Sergeant Donald Griffith, Jr.
Army Staff Sgt. Donald Griffith Jr. graduated from Rancho High School in 1994 and grew up in Las Vegas. He married Stacy Paup in Mechanicsville, Iowa, in 1997. He loved animals and Harley Davidson motorcycles. Griffith Jr. grew up working at a veterinary hospital and housed two dozen birds, a desert tortoise, hamsters, snakes and six cats, according to the Seattle Post-Intelligencer. Griffith Jr. was a member of the Army’s Stryker Brigade, 2nd Squadron, 14th Cavalry Regiment. He was awarded the Purple Heart and the Bronze Star. Marine Lance Cpl. Nicholas Anderson graduated from Bonanza High in 2002. He planned to marry his fiance Amanda Barnicoat, who worked for Air Force Intelligence in Japan. “Oh did those two kids love each other,” Anderson’s mother Eleanor Dachtler told the Las Vegas Review-Journal. “They were going to come back to Las Vegas, and she was going to go to college and he was going to go to culinary school.” Anderson joined the Marines because he wanted to be “the best there is,” Dachtler said. He was with the 1st Battalion, 4th Marine Regiment, 1st Marine Division I Marine Expeditionary Force. Marine Pfc. John Lukac graduated from Durango High School in 2003 and was the son of Czechoslovakian immigrants. His father, Jan Lukac, said John had dreamed of joining the military when he was 12. “He was very courageous. He was very proud of his country,” Jan Lukac told the Las Vegas Review-Journal. “He was such an honest, straight guy. He never used drugs. He never hurt anybody. He was such a straight arrow.” Lukac enjoyed playing basketball and target shooting. He was part of the 1st Battalion, 3rd Marine Regiment. He had served in Hawaii, Japan and Guam before going to Iraq and was there just over one week when he died. Marine Cpl. William Salazar’s job was to record footage of the war while in Iraq. He was always interested in graphic design and filmmaking, and his father and stepmother both worked in the film industry in Los Angeles. “He was so excited when he was assigned to that job,” Lou Salazar, William’s uncle, told the Associated Press. “He was getting to do everything he wanted to do and tie his interests together.” Salazar moved to Las Vegas in 2001, where he joined the Marines and was assigned to Headquarters Battalion, 1st Marine Division, I Marine Expeditionary Force at Camp Pendleton, CA. Army Cpt. Josh Byers was married to Kim Byers, and was the son of Baptist Missionaries Lloyd and Mary Byers. Byers graduated from Reed High School in Sparks and later graduated from West Point in 1996. “We lost one of our best and brightest,” Lt. Dan Lawrence told the Associated Press. Byers commanded Fox Troop, 2nd Squadron, 3rd Armored Calvary Regiment. Marine Lance Corporal Donald John Cline, Jr.
Marine Lance Cpl. Donald John Cline married Tina Cline Oct. 21, 2000, the day he graduated from Marine boot camp. The two met at Reed High School in 1997 and lived in the same apartment complex. The couple had two sons together, Dakota and Dylan. “He always said he wanted to be a Marine,” Tina Cline told the Associated Press. “His whole senior year he was already signed up and ready.” Cline had been reported missing along with eight other Marines before it was confirmed he was killed in combat. He was known as a man who loved his family and friends. He was with the 1st Battalion, 2nd Marine Regiment, 2nd Marine Expeditionary Brigade. Marine 2nd Lt Fredrick Pokorney, Jr.
Marine 2nd Lt. Fred Pokorney was married to Chelle Pokorney, and the two had a daughter, Taylor. Pokorney lived in Tonopah for about two years. Well over 6 foot tall with a large frame he excelled at football and basketball at Tonopah High. He graduated from Oregon State University with a degree in military science. Pokorney was assigned to the 1st Battalion, 10th Marine Regiment, 2nd Marine Expeditionary Brigade. Army Staff Sgt. Cameron “Boodee” Sarno had only three weeks before he was scheduled to come back to America before he died. He enjoyed martial arts, hunting and surfing. Sarno moved to Las Vegas in 1998 after living in Hawaii. “He was a tough guy,” his friend, Gordon Magallanes told the Star Bulletin. “It brings tears to my eyes (when) I flash back on all the good times. I’ll remember Sarno was assigned to the 257th Transportation company, U.S. Army Reserve in Las Vegas, NV. Army Cpl. Ranger Matthew Commons was an honor student who graduated from Boulder City High in 1999. He died “helping rescue another American serviceman from behind enemy lines in Afghanistan,” Senator Harry Reid told the Las Vegas Sun. A Boulder City “Veterans of Foreign Wars” post has been named in Commons’ honor, which is known as the Matthew Commons Memorial Post No. 36. A memorial scholarship under his name was set up by the St. Catholic Church. Commons was assigned to the 1st Battalion, 75th Ranger Regiment. He was awarded the Purple Heart, Bronze Star and Meritorious Service Medal. Army Spc. Jason Disney graduated from Churchill County High School in 1999. His teachers said he struggled a bit academically as a freshman, but turned his life around through the Junior ROTC program. After enrolling in the Army, Disney visited one of his former instructors. “He apologized for being a jerk in class and said he wished he’d paid more attention when he was there,” Junior ROTC Commander Rod Maskew said. “The point is, he made a turn around. He found a positive direction to go in.” A single father, Disney joined the military to provide a better life for his son and planned to return to Fallon after the Army. He was with the 7th Transportation Battalion.